What Makes AWS A Great Choice For Small Businesses? 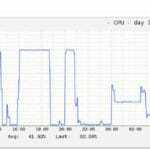 How to limit CPU usage on server effectively? A2 Hosting review: Is it the fastest shared hosting service? Is Shared hosting bad for SEO and is it safe for your site?